I was lucky enough to be sent some products to review from the guys over at Xtras. 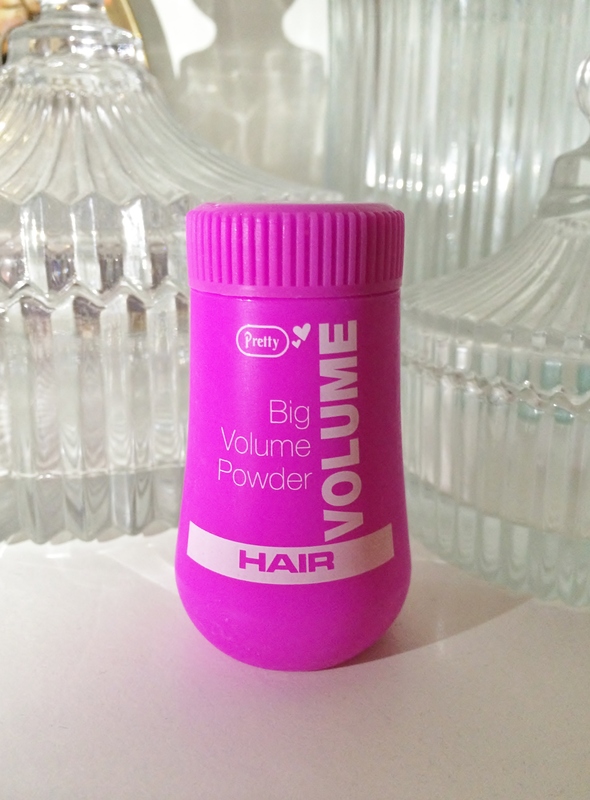 One of the products was *this Big Volume Hair Powder by Pretty. To be honest I’m not a huge fan of volumising powders. I find that they leave my hair kind of sticky and hard to work with. I was pleasantly surprised then that this powder wasn’t too bad. It does leave a slight coating but nothing too horrendous. As for volume it’s pretty (like what I did there?) good. I mean it’s no replacement for your rollers or backcombing, but for those times your flat hair needs a little zhoosh it’s perfect. You just need to massage a small amount into your roots and it gives you good volume in seconds. After a while it does start to lie a little flat again, but all you need to do is run your fingers through your roots and voilá…volumised hair again. For me this product is just as good as the Schwarzkopf got2b Powder’ful Vol Style Powder. What about you guys, have you tried this or any other good volumising products? ← Moroccanoil Treatment…worth the hype?